Seattle is in the midst of a housing crisis. Anyone who lives here knows that. We see the signs every day in neighbors struggling to afford to remain in their homes, in friends being pushed out of the city and in people living unsheltered on our streets. On Monday, after years of process and talk, the Seattle City Council has an opportunity to take a bold step to address our housing crisis and pass citywide Mandatory Housing Affordability, or MHA. The idea of MHA is simple: We want everyone in Seattle to have access to neighborhoods with spacious parks, reliable transit, outstanding schools and affordable housing. MHA helps us achieve these goals by allowing for more housing, which we desperately need, across our city and requiring that the developers of new housing provide affordable housing, too. They can do that by building income-restricted affordable housing on-site, or by paying a fee that is leveraged against other funding sources to build even more affordable housing than would have been included on-site. Overall, the MHA program is expected to create 6,000 units of affordable housing over the next 10 years, with even more in years to come. All around us, our city is changing. The source of this change is no mystery: Seattle is growing at a phenomenal rate. During this decade we have grown from 608,000 people to 730,400, an increase of nearly 20 percent. That change hasn’t been spread evenly, either: According to the state of Washington 2018 Population Trends report, in the past three years, we grew nearly six times faster than in the first three years of this decade. Our Puget Sound region’s population is predicted to continue to grow, adding 1.8 million more people by 2050, with the lion’s share of that growth happening here in Seattle. While the other fastest growing cities such as Redmond, Kent and Bellevue have each added about 2,000 people in the last year, Seattle has added nearly 17,000. Unfortunately, our current zoning laws were written for a different era and have not kept up with the challenges facing our city today. With this astronomic growth in full swing, we can no longer ignore the obvious need to change our approach. 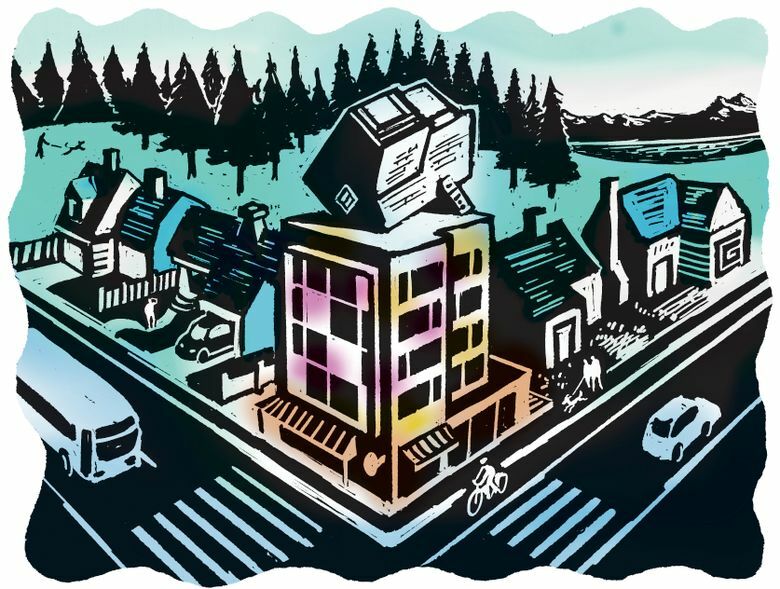 The status quo policy, one that bans denser housing, like multifamily town homes and low-rise condos, in most of Seattle, has undermined the benefits that economic success and growth should bring to any city. For too many, it has turned this success story into a story of hardship. Recognizing this reality, the city acknowledges that effectively planning for growth must mean sharing space to make room for everyone who wants to find their place in Seattle. It must mean finding ways to harness the growth we are experiencing to create more opportunities for the people bearing the burden of that change. To create a proactive growth policy, we had to be proactive about engaging the community. To create policy with the goal of housing more of Seattle, we had to engage more of Seattle. So, starting in 2015, city departments hosted more than 200 events to engage the community around these ideas and canvassed 10,000 households in affected areas. The City Council hosted 41 of these, including a series of 16 community design workshops, five open houses and six evening public hearings in neighborhoods across the city. We took time to analyze the environmental impacts of the proposal, an analysis that was upheld after a yearlong independent review. This year, the City Council took all that feedback to heart and considered more than 80 amendments to improve the proposal and better tailor it to neighborhood concerns. We adopted incentives for child care to be included in new buildings, requirements for small-business spaces along pedestrian corridors, protections for trees and historic buildings, and expanded affordable homeownership opportunities. In 2017, the City Council unanimously passed ordinances to apply MHA to six neighborhoods. In those neighborhoods, the program is working, with more housing being built, and millions of dollars being invested in affordable housing. Needless to say, Monday’s vote has been a long time in the making. Unfortunately, all this process had a cost. A city analysis from last year showed that we lost more than 700 units of affordable housing by not passing MHA a year earlier. So, on Monday, let’s stop waiting. Let’s move past process and take action to build more homes for our neighbors and invest in the affordable housing we desperately need. Mandatory Housing Affordability won’t solve all our problems overnight, but I believe that it is a long-overdue step to live up to our goals as an equitable and livable city for all. Rob Johnson is a City Council member representing District 4 in northeast Seattle, including the University District, Ravenna and Wedgwood-Bryant neighborhoods.